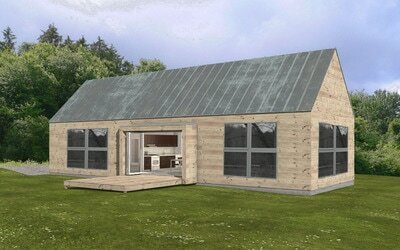 Are you interested in building a smaller, energy efficient home? 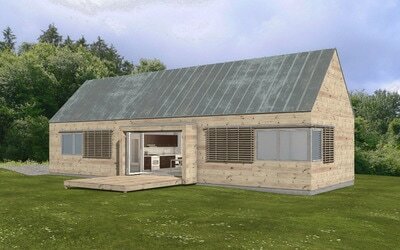 If you have looked at modular homes and found them unsatisfactory, or kit homes which often include far less than you might imagine, think about building a smaller, stick built home with us. We have pre-selected a group of small house plans in a variety of styles that should enable you to kickstart your project. 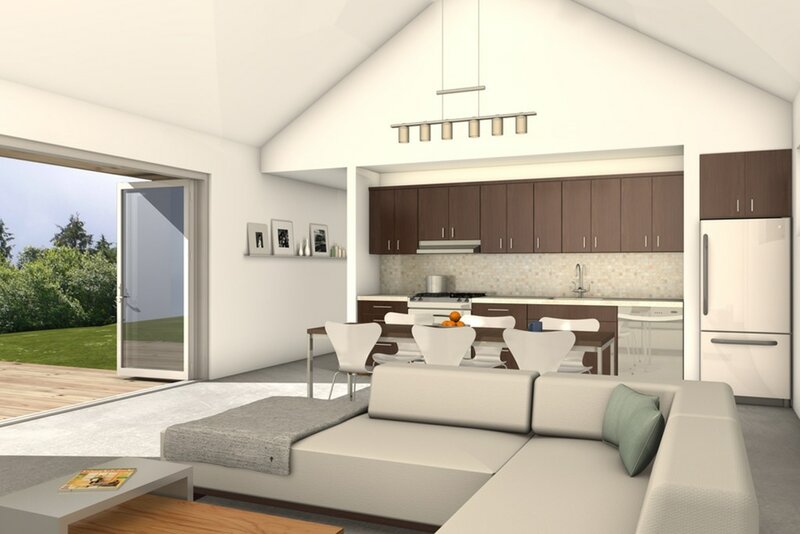 The plans range in size from 660 to 1,687 square feet. 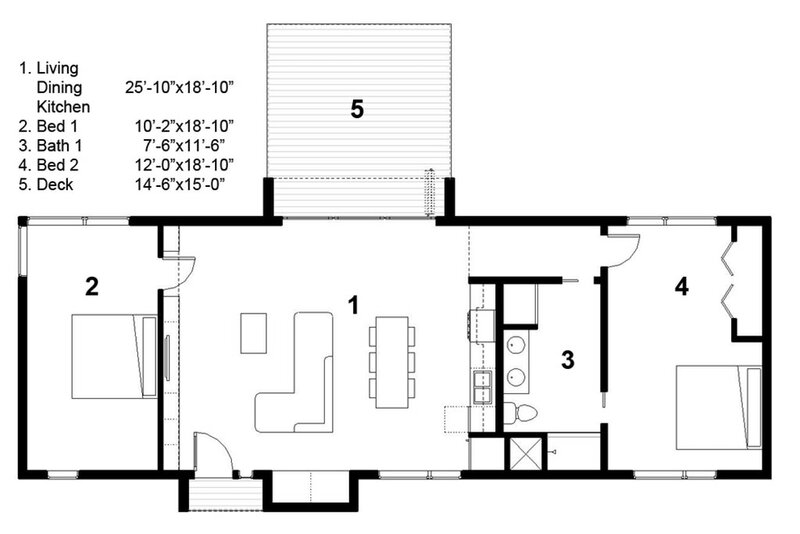 Below is an example of a stock plan--1,160 square feet, 2 bedrooms, simple and clean. At this time, an architect's stamp is not required when you build a house that is under 1,500 square feet in our area, but you would need to confirm this when you start your project. Roughly estimate $200 per square foot, unless more complex site work is required. If the driveway, septic, and well are in place, estimate less. A change in siding, windows or roofing can really customize your vision.